Driving around the densely populated centers of Metro Manila, it’s impossilble not to see condos everywhere of all shapes and sizes. Even in my stomping grounds, the southern side of the city, where wide subdivisions and single detached households are dominant, there are mid to high rise buildings making inroads changing the cityscape. In the spirit of paper achitecture, the making of a design without particular client or site, the following is a sequence of how a condo may take shape. Before I forget, the term condo has come to mean mid to high rise residential buildings. Its a shorter form of the word condominium which pertains to the form of ownership an occupant will have over his/her unit. To simplify we differentiate from a subdivison, wherein a title proves you own a piece of land of set dimesion and location, a condominium gives you ownership of the unit you will occupy and part ownership in a corporation that owns the common areas like corridors, lobby, driveways, elevators and everything else needed to make your building work. The design starts with three important things that we inherit from real estate brokers, location, location, location. The site will define the over-all and final form the design will take. 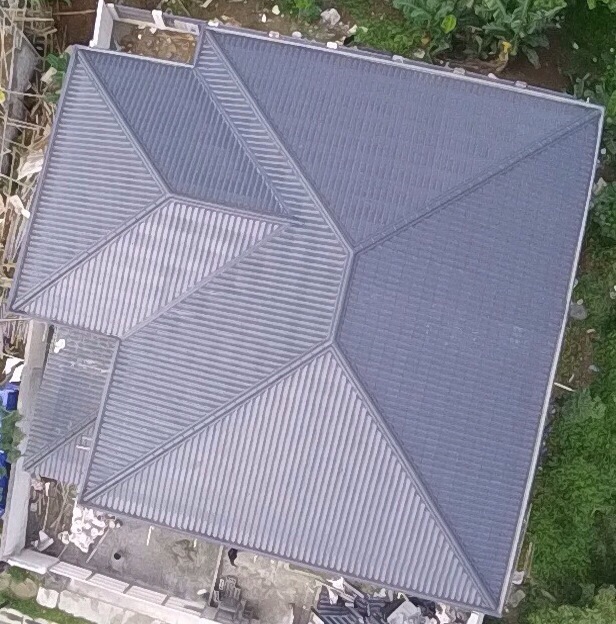 As architects we take the topography, orientation to the sun, presence of major climatic conditons, presence of bodies of water, landscaping or vegetation among many natural and man made conditions. Adding to the physical conditions there is the legal and regulatory environment like codes, laws, design restrictions and upcoming issues pertaining to green building, the environment and social responsibility. These among many other items are to be evaluated by the designers. When the site has been evaluated and a general idea of the masterplan in mind, the designers usually attack the design problem with the end in mind, which pertains to the layout of the basic units. This is the end because it’s what will be sold to the buyers and form the basis for all computations and assumptions. 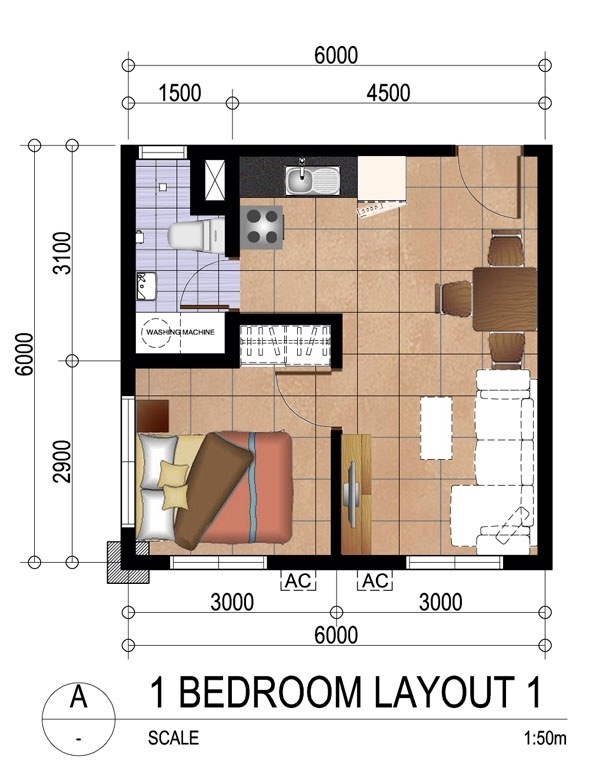 For the purpose of this exercise a studio unit of 20sqm and one bedroom of 36sqm is used. This unit size and distribution requirement is usually provided by the clients, who know their market and their brand. An architect will have to assume for the greatest common denominator for users while considering all the necessities for modern living. 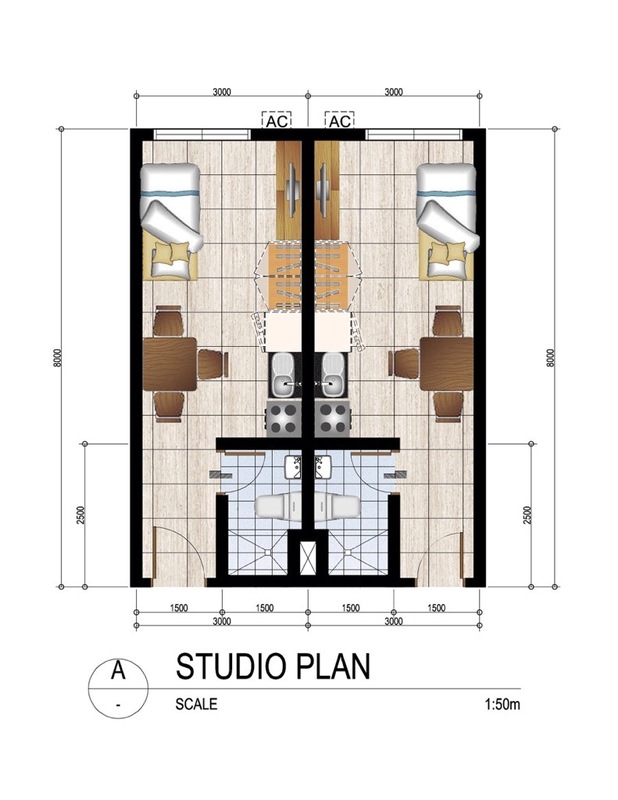 Once a layout has been approved and adopted, a floor plan containing the unit mix required is designed, the number of studios and one bedrooms in our example will be setup with the rest of the floorplan for the building. Some of the items to be required would be the corridor layout, fire escape configuration, elevator placements, electrical room, mechanical rooms, plumbing rooms, and garbage rooms. 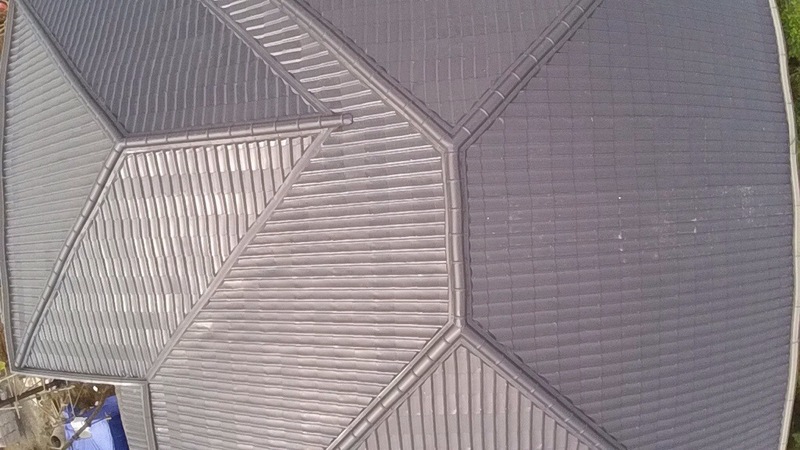 These varied components will be subject to the architect’s design intent and the client’s business requirements. Condo with Parking Layout and Traffic Flow. Area in red is possible commercial like a supermarket. Amenities are important to the character and desirability of a development. 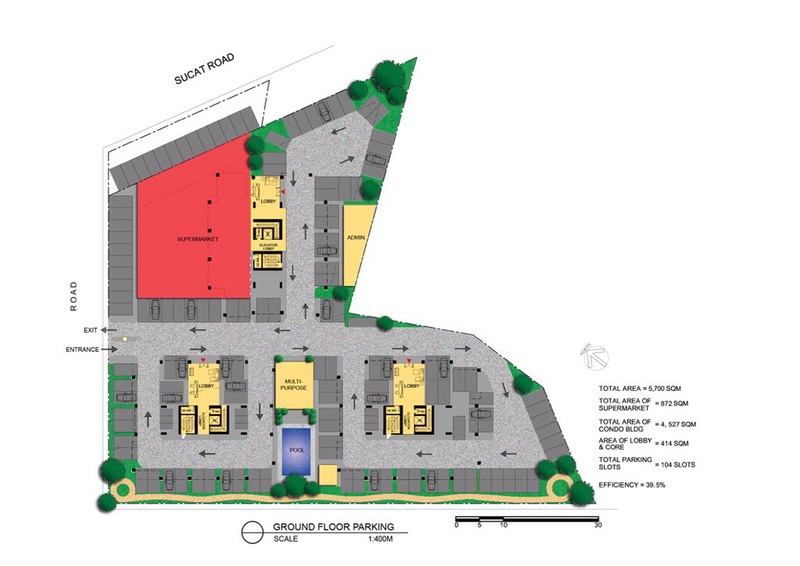 With the site studied and the floor plan adopted, we make a fit that will eventually help finalize the masterplan. Like being on the sandy beach in summer, with our shore as the site, and sand castles as our floor plan, we place our sand castles on our shore to create the best possible effect and fulfillment of requirements. Aside from the number of buildings, everything else is incorporated like the amenities, entrances, exits, parking, utilities and administrative spaces among many other items. With the masterplan in place and the floor plan properly oriented, we step back to consult the business brief and design intent to help arrive at the stacking of the buildings. With this we get the height and stature of the building. 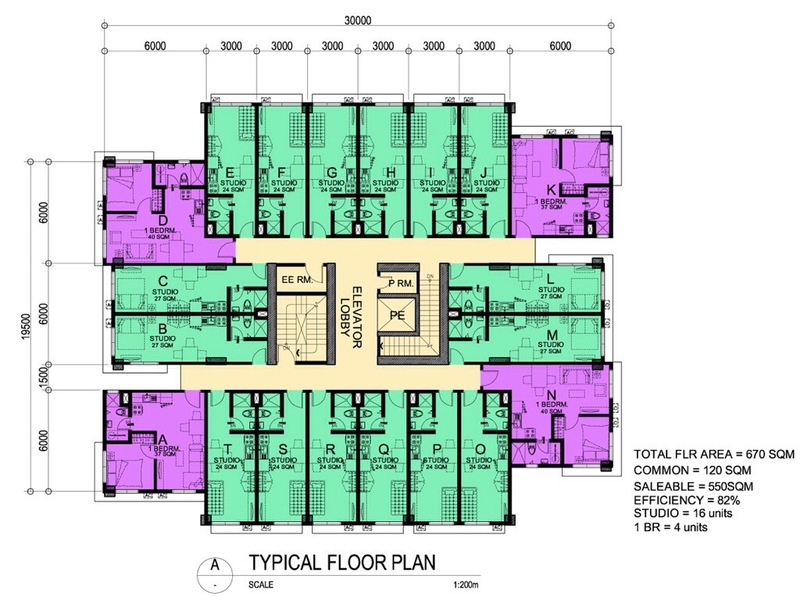 Two of the defining parameters is the Floor Area Ratio (FAR) and the resultant Gross Floor Area (GFA). 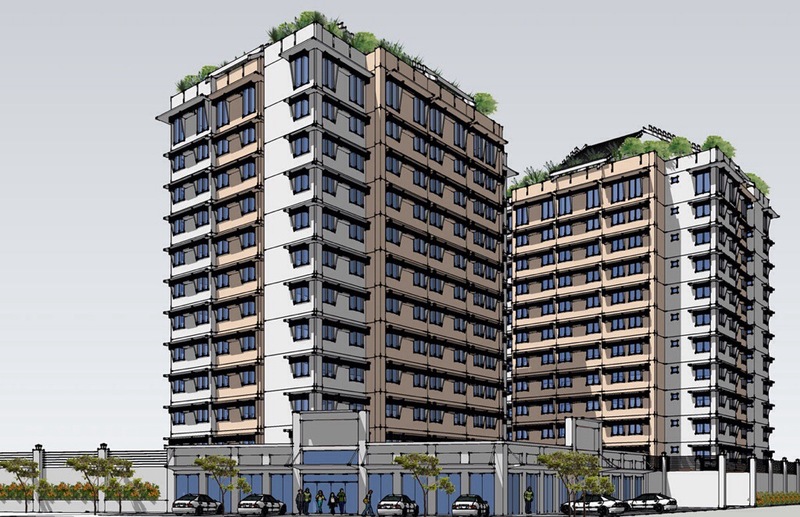 For the purpose of this write up, the FAR is given usually by the city’s land use plan which is a factor or number multiplied by the area of the lot, the result of which is the GFA. 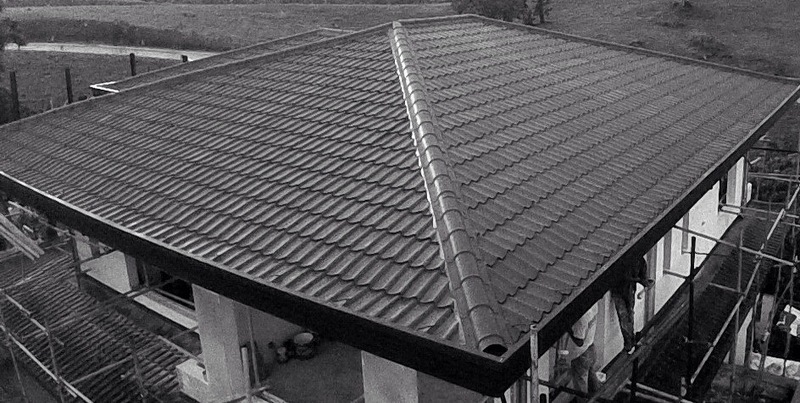 This GFA in square meters is the total construction floor area that a developer may build. 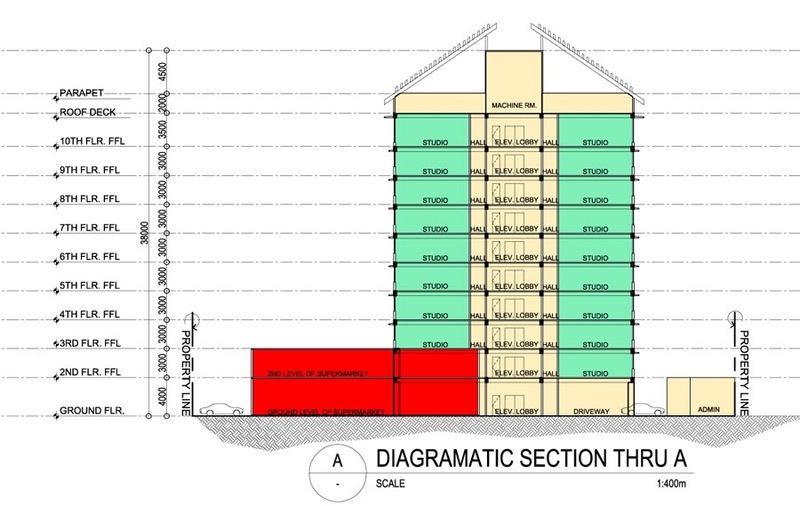 Hence the the total height and the number or storeys are dependent on the FAR and GFA. With this a diagrammatic section can be made to show how the adopted masterplan will stack up and if it adds up with all the expectations for design and finance. With everything stacking up and hopefully adding up to the design and financial specifications the parking and the ramping concept is revisited and finalized. Usually the number of parking slots required is governed by the National Building Code (NBC) Parking ratio, the ordinance by the local government or the land developer’s design guidelines whichever is most restrictive or will provide the most number. In our example the NBC parking ratio was used. The sequence just described varies depending on the project and the client. Ultimately we can expect residential design to further evolve and hopefully improve with the competiton in the market, exposure of buyers due to travel and the internet, increasing awareness in green building technology and increase in land prices.